with the complete illustration presented as Figure O.9. 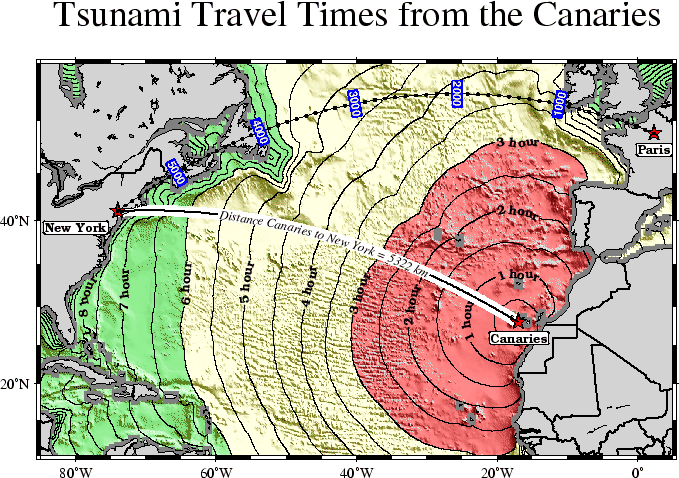 Figure O.9: Tsunami travel times from the Canary Islands to places in the Atlantic, in particular New York. Should a catastrophic landslide occur it is possible that New York will experience a large tsunami about 8 hours after the event.